group of musicians add to the value of the cd: Adriana Rodríguez (flute), Jorge Biscardi (guitar) and Enrique Prémolí (piano). The combination of guitar and flute is simply perfect. And the accompanying piano has moments of inspiration, as in “Tanguano". player from Mar del Plata , in a collection of his pieces for voice, composed in the late sixties. 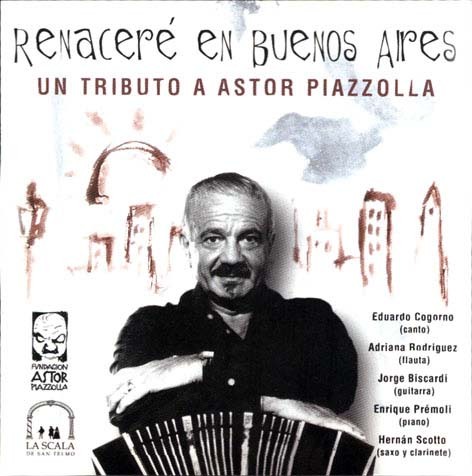 find in Cogorno's deep and clear voice a faithful interpreter of perturbing and moving visions of Buenos Aires. The C.D. treasures seventy minutes of invaluable music, we recommend it warmly".